Discover what Silicon Carbide technology means for the future of the power electronics industry by downloading our new white paper. 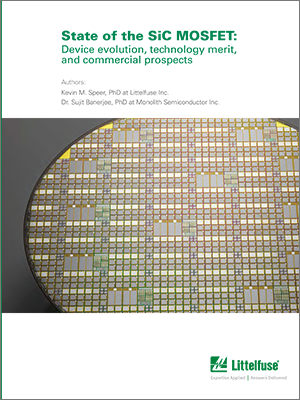 Our new white paper, State of the SiC MOSFET: Device evolution, technology merit, and commercial prospects, traces the evolution of these devices over the last few decades and offers an overview of their commercial prospects for the future. Complete the short form to download your free copy of the State of the SiC MOSFET: Device Evolution, technology merit, and commercial prospects.